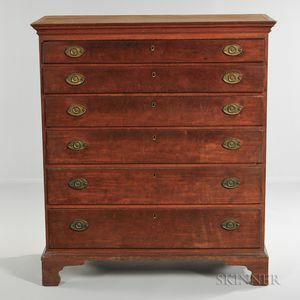 Red-washed Cherry Tall Chest of Six Drawers, possibly New Hampshire, late 18th century, molded top above thumb-molded drawers and bracket base, brasses appear original, old refinish, (imperfections), ht. 48 1/2, case wd. 40 1/2, case dp. 19 in. 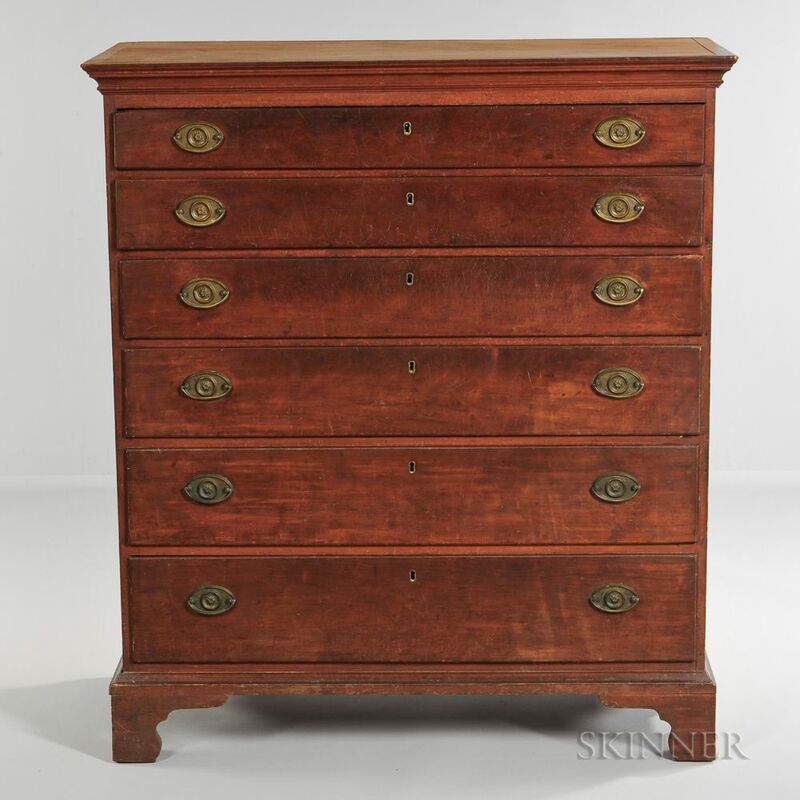 Note: An old tag with handwritten inscription attached to the backboard reads: "This chest belongs to/Anna [or Nina/]-- Chapin/210 Hillside Rd/Rich--- N.Y. /Sister of Mrs. Frederick F./---ff." Further indistinct inscriptions on the backboards appear to read in part "Celind-- H--." shrinkage cracks to top and left side as wide as 1/4 inch. scratching and other signs of wear to drawerfronts, etc.